Boxy silhouettes and lots of lace at Byblos. TOMS have collaborated with Shabby Chic to offer their classic shoes in the line's iconic floral prints. As well as TOMS's standard 'One for One' promise, Shabby Chic will donate a portion of the proceeds from the sale of each pair to Upward Bound House, a non-profit organisation that provides emergency and transitional housing for homeless families. The Big Boss desk designed by Piergil Fourquié draws inspiration from architecture and uses the cantilever principle for its structural support. 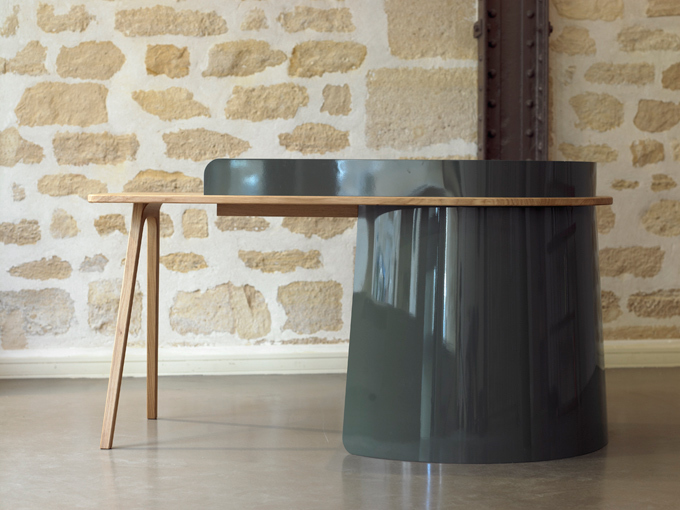 The lacquered metal skirt contrasts with the light oak suspended top which juts out over an empty space. The choice of material is a metaphor for a sports car: the metallic exterior reflects the immediate environment and hides the user’s legs while the refined topstitched leather interior creates a warm protective cocoon. The elegant lines also hide computer cables, electric wires and a drawer. How many ways can you re-invent the classic trench? Burberry is on a mission to find out. 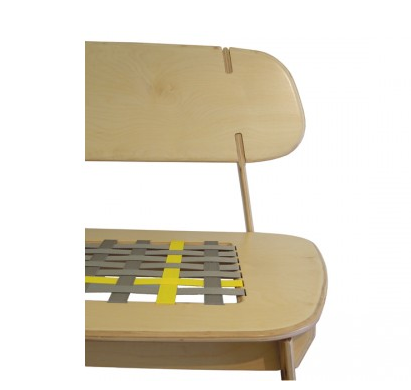 We love everything about the Slow Chair and Day Bed by South African-based KOOP Design: the curves, angles and woven seat, all of which follow the same bent wood and light structure as the Ercol furniture from which they were inspired. The seats are low and generously sized and designer Richard Stretton claims they are also a play on organic African forms such as the mokoros of the Okavango. The chairs are made from a combination of ply and African hardwood and blend the natural and the mechanical. The Slow Chair and Day Bed come flat packed and can be easily stored away. Stretton hopes they will appeal to younger people and with that in mind the chairs have been developed to function well at temporary events, as apartment living and outdoors as patio furniture. These ethereal chandeliers are surreally beautiful. 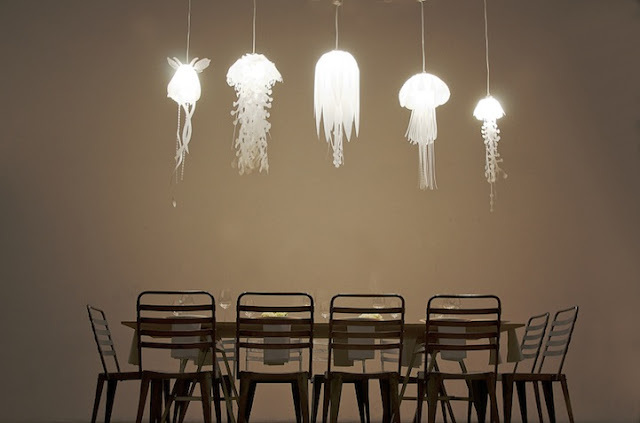 The Medusae Collection is a series of creative lamps by Roxy Russell Design and provide a diffused glow to any room. 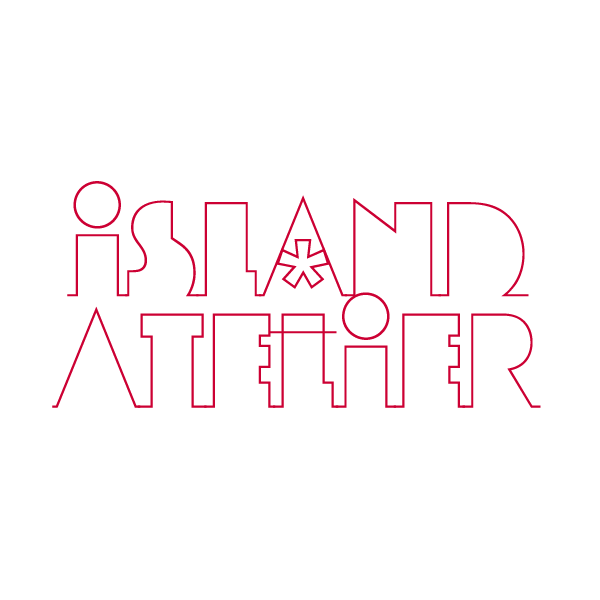 The ocean is a boundless source of inspiration for the designer and with this project was a way for her to pay tribute to it, while also bringing an awareness to the growing problem of pollution that occurs in our oceans. The lamps are actually formed from plastic, but all of the materials used can be separated for recycling. Russell also minimises packaging for transport. A percentage of the proceeds from the sale of the Medusae Collection will be donated to The Ocean Conservancy. Antonio Berardi takes us on a journey from simple to complex with this collection. Feathers create drama at Mark Fast. 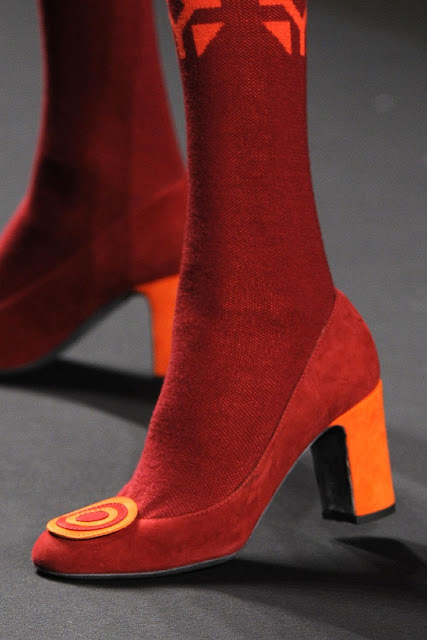 Punchy brights and psychedelic swirls from House of Holland. Warrior women and strategic cut-outs make for fierce fashion from Sass & Bide. 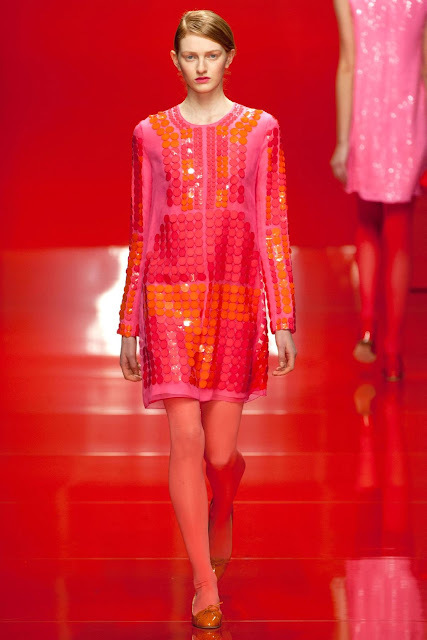 Jasper Conran brings the sixties back using graphic cutouts and high shine. 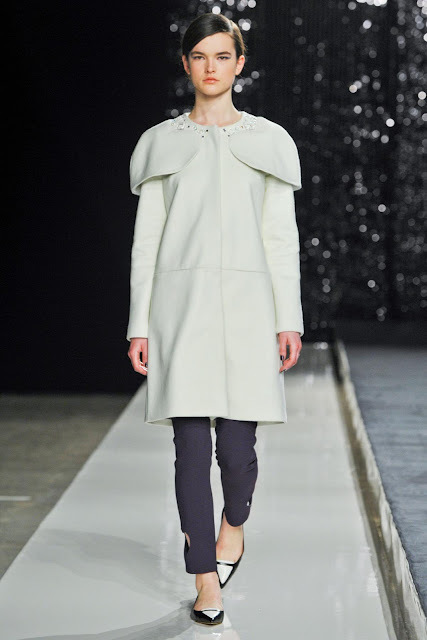 Beautiful, circular structure in this standout collection from David Koma. Corsetry and ethereal lace from Bora Aksu. Jewel-tones and insect embellishments from Tory Burch. Belated Valentine's Day wishes from Honor wraps up our coverage of the shows from New York. Brightly coloured but varied footwear at Anna Sui. So many of the shows in New York were over-the-top opulent, none more than Tory Burch's offering which showed a lot of texture, patterns and ladylike silhouettes. 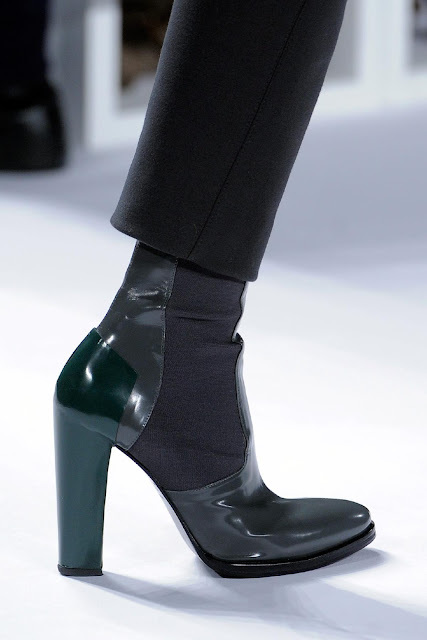 It's lounge life and high shine at Marc Jacobs. Here is another instance of a wing nut being put to good use in design. From Colleen & Eric, this cubed wing nut bookend can be moved into place along a notch in the wooden shelf and secured as needed. 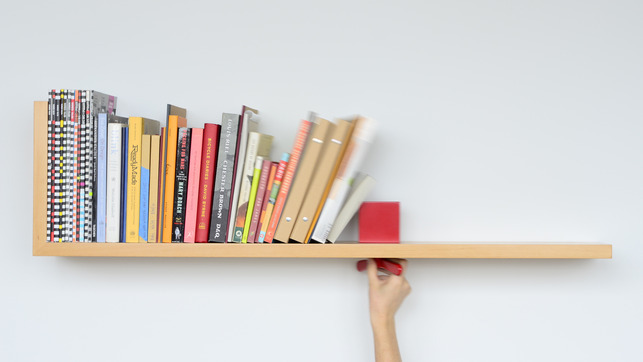 The bookend is made of powder-coated aluminium and the bookshelf is offered in Beech, Walnut and Oak. 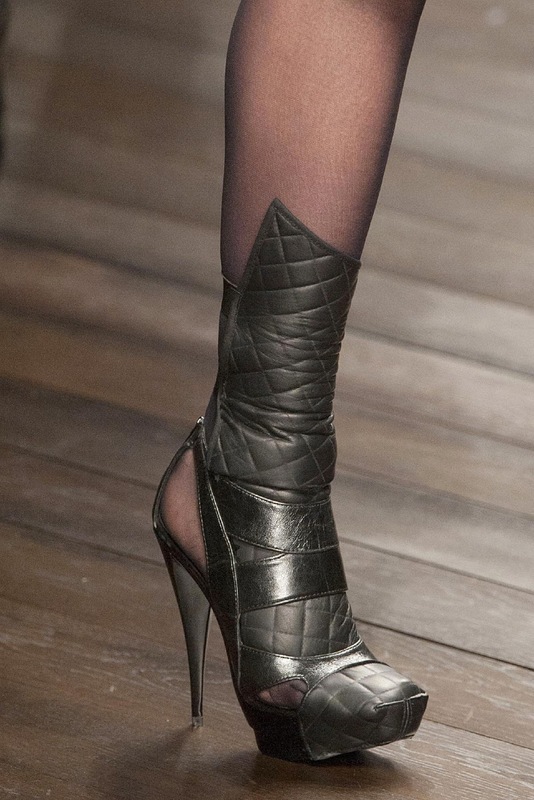 Love the texture of the studded pieces (more than the lace ones) which were shown by Diesel Black Gold. 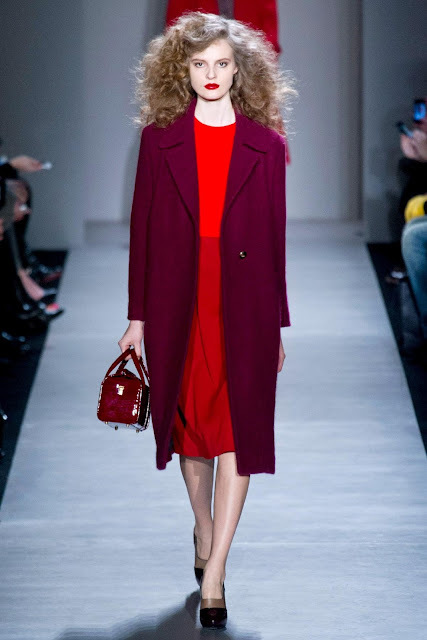 Gloss and glamour with a 70s flavour from Diane von Fürstenberg. 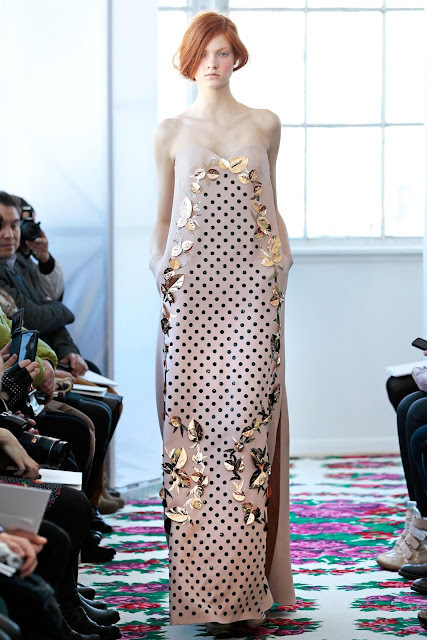 Absolutely brilliant collection from Delpozo, probably our favourite so far. 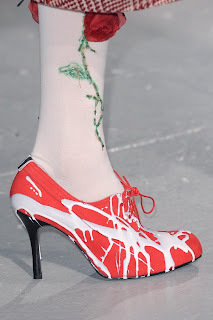 The best accessories this season from Thom Browne. Maybe we've matured, but we really like the understated elegance of Pamella Roland's collection, particularly the gowns. A pretty understated collection by Marc Jacobs for his Marc by Marc Jacobs line which focuses on op-art prints and jewel-tones. One of the more subtle and restrained collections we've seen from him for a while. Do the accessories make these clothes? 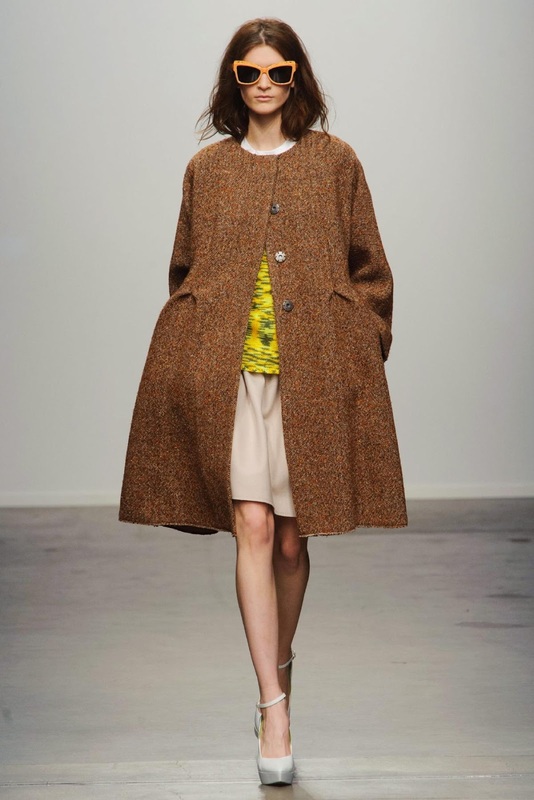 In any event, we liked the collection of deconstructed outerwear, neon prints and houndstooth put out by Karen Walker. 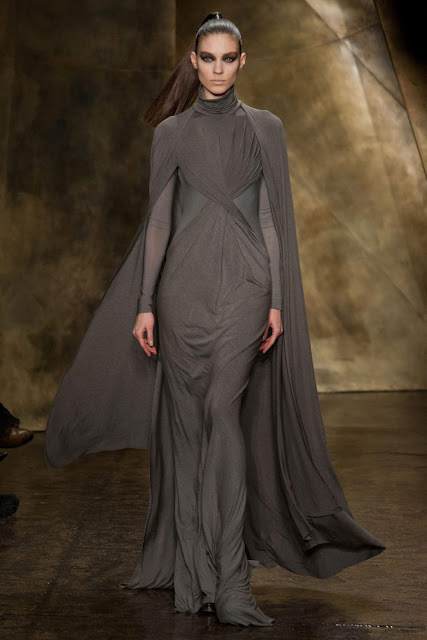 Capes and drapes rule at Donna Karan. Take a trip back in time to the glamorous 40s with Carolina Herrera. We love the visual styling of alice + olivia's presentation as much, if not more than the clothes themselves. With a certain hard edge to the looks, it toughened up the feminine clothes and kept them from feeling too girlish. We must be in a luxe mood, because like Monique LHuillier's collection, this one by Hervé Léger is heavily embellished and embroidered. While not as overtly body-conscious as in the past, Hervé Léger has raised the bar with a collection that stood out in a sea of uninspired shows. Elasticated inserts provide comfort without sacrificing style at Lacoste. After two days of largely boring and ugly fashion (seriously, are knitted dickeys and denim patchwork considered 'things' now? ), finally a show to get the heart racing. While Pantone has decreed that emerald green is the colour of 2013, we hadn't really appreciated its impact until we saw the striking emerald-coloured gowns floating down Monique Lhuillier's emerald-coloured runway. The first member of the Lavitta collection by Poiat Products is this small chair that draws on the influences of traditional Finnish outdoor furniture. 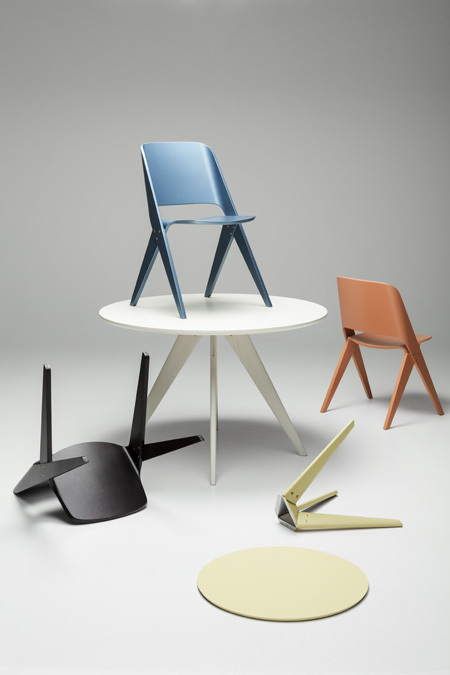 The chair is made up of two mould pressed pieces of plywood: the seat and rear legs form one component and the back rest and front legs the other. The chair's surface can be painted or stained. The Lavitta collection will also include a small occasional table and dining tables of different sizes. Such a stylish way to prepare for the big trip home. 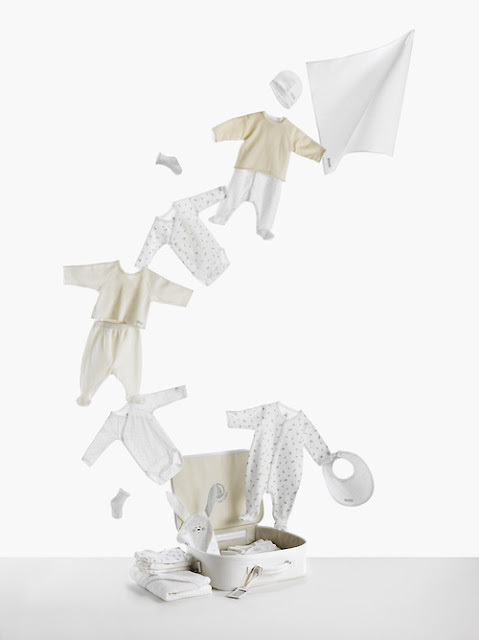 From Petit Bateau comes this limited edition, newborn suitcase full of everything new parents need in those first few months. 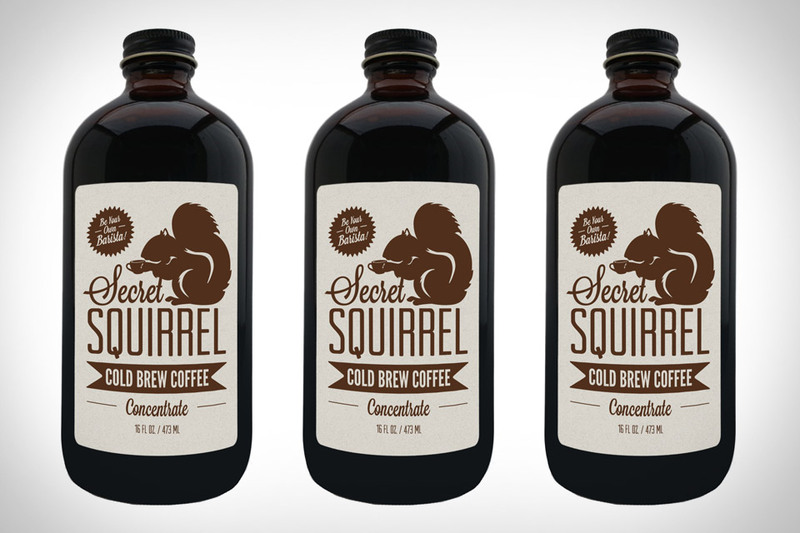 No sure about the concept, but we're fully behind the packaging and design of the Secret Squirrel Cold Brew Coffee which comes in concentrate form and requires no brewing. Brewed for you using a low-tech process over an extended period using nothing but filtered water and ground beans, this coffee concentrate can be mixed with hot or cold water or milk to produce a smooth, rich coffee flavour. Each bottle of Secret Squirrel Cold Brew Coffee makes between four and seven drinks depending on their size and strength, and are available in two or three bottle packs. Lacoste LAB has been the conceptual arm of the sportswear brand since 2009. 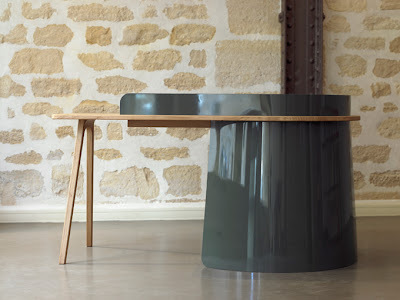 Headed by Christophe Pillet who is the design director at Lacoste, the LAB is responsible for the creation of objects through collaborations between Lacoste and third parties. 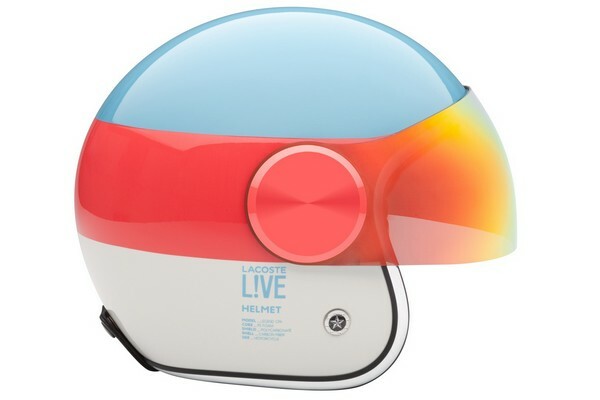 This year, Lacoste LAB via Lacoste L!VE is offering new sports objects including this stunning helmet by Design GPA. 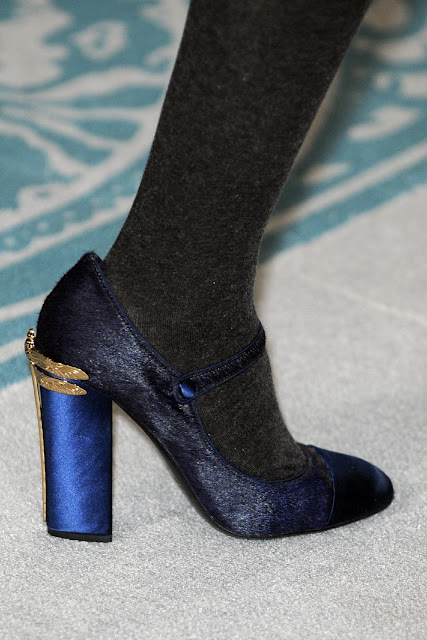 The items were presented during New York Fashion Week in September 2012 and can be previewed at Parisian boutique colette from January 7, 2013. Lacoste LAB via Lacoste L!VE will be available in select Lacoste L!VE stores from March 2013. Austrian design company Schmidinger Möbelbau have created a chair that is a cross between traditional alpine furniture and Danish modernism. The Trix chair is influenced by the alpine brettstuhl chair which is usually constructed from two interlocking planks. This version has been modified to include a prefabricated shell seat that resembles Arne Jacobsen’s Ant Chair in shape and proportion. 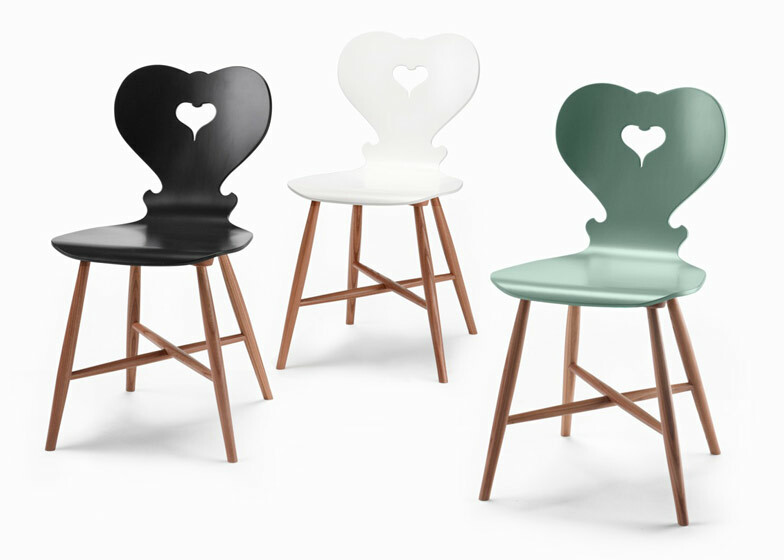 As a nod to the usually elaborately carved back of the brettstuhl chair, Schmidinger Möbelbau have added heart-shaped curves and cutouts to the Trix chair. The dark elm wood legs are joined and braced with a cross-shaped frame underneath the prefabricated shell seat. The seats are finished in either anthracite, white or pastel green. Be punctual and do some good at the same time. As well as looking great on your wrist, depending on the colour you choose part of the proceeds from your purchase of the 1:Face Watch will be donated to various good causes like AIDS treatment, cancer patient support, providing potable drinking water in Africa or free mammograms. The watch has itself is attractive with its simple, clean lines. The body is housed in an alloy frame with stainless steel buttons and backplate and a tempered mirror face. 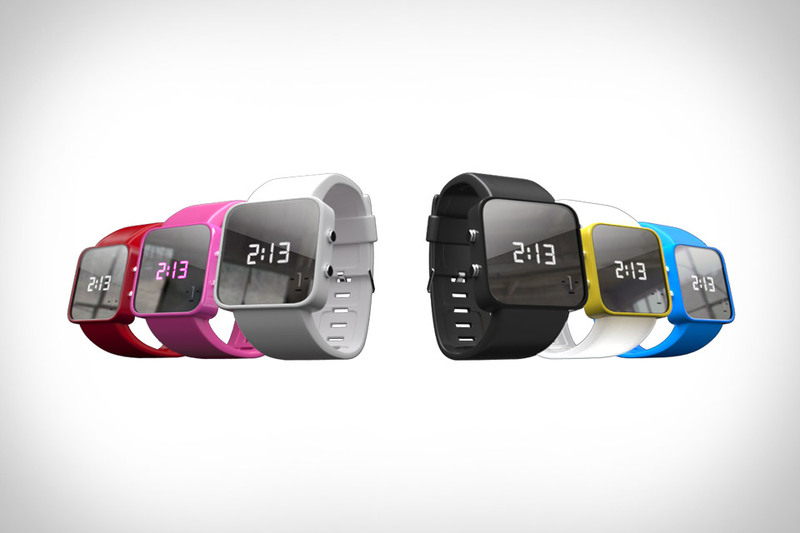 The watch has a coordinating silicone band in six colours, each representing the different causes. Time is displayed in bright white LEDs at the push of a button. When the button is not pressed the display is a full-face square mirror screen with a minimalistic design intended to compliment any outfit. 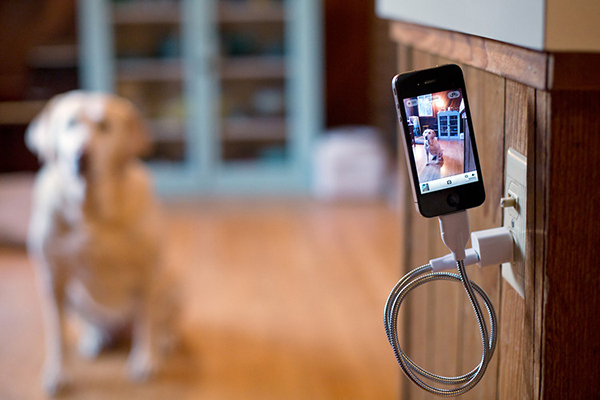 We've featured smartphone tripods and hands-free gadgets before, but this is a whole new ballgame. 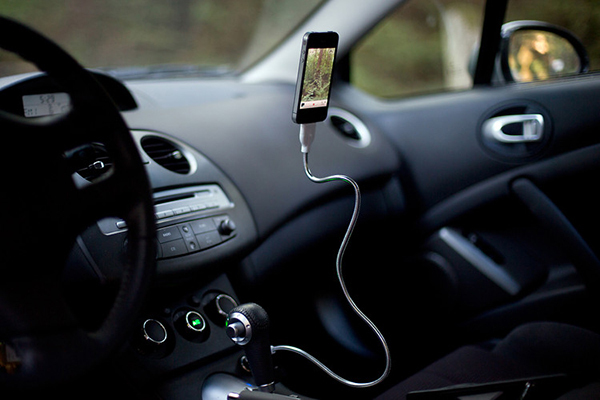 The Bobine is a charging cable (available for iPhone and Android) with a built-in USB that is wrapped in a flexible, metallic gooseneck. As such, it can be bent and positioned in different poses and it retains its shape. It is perfect for use as a tripod, viewing dock or for keeping your desk clutter-free.